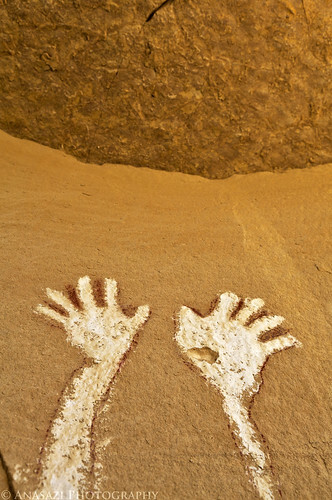 A pair of white hands reach for the sky within the Canyon Pintado National Historic District in Western Colorado. These are located at the White Hands Site (good name, eh?) which is the first site you will come across when traveling from the south. There are some other pictographs scattered around this site as well.